Personally, I am not a big horror fan and definitely not a ‘Jason’ follower but I like Jamie Lee Curtis. She can scream with the best of them! After all, her mother was Janet Leigh, the original scream your ears off girl in the Alfred Hitchcock’s 1960 movie ‘Psycho.’ The stabbing shower scene is a classic that movie buffs of any age know. Now Curtis is recreating her role of Laurie Stroud from the ‘Halloween’ franchise. No title as of yet has been given but she will pretty much create an older and wiser version of herself in the movie. The original movie, directed by John Carpenter was about a masked psychopath who escapes from an insane asylum who stalks and kills teenage babysitters on Halloween night. Since then, the ten Halloween films have grossed nearly $400 million worldwide. 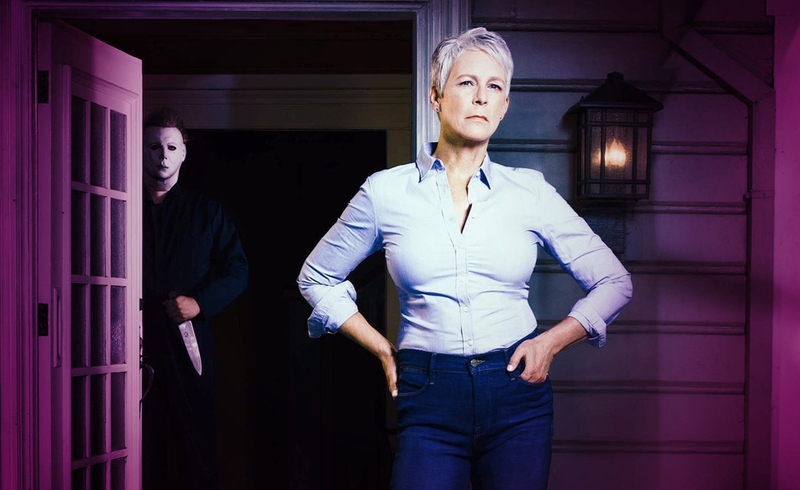 The announcement came Friday as the Blumhouse production company tweeted the news, saying,” Jamie Lee Curtis returns to her iconic role as Laurie Strode in HALLOWEEN.” Curtis also tweeted about the news, adding, “Same porch. Same clothes. Same issues. 40 years later. Headed back to Haddonfield one last time for Halloween.” She has reprised her famous role three times since John Carpenter’s original. The announcement is a little confusing, considering Curtis’ character seemingly died in “Halloween: Resurrection.” But whatever, Michael Myers is pretty invincible. Why can’t Laurie be, as well? Right? The new film from Blumhouse Productions and Universal Pictures is being billed as the “final” Halloween. Curtis, who is an avid video fame fan and occasional cosplayer, had her big-screen debut as Laurie Stroud in the original 1978 version of Halloween, directed by Carpenter. She has appeared in Halloween II (1981), Halloween H20 (1998) and most recently Halloween: Resurrection (2002). As mentioned above, her character was actually killed off in Resurrection, so it’s unclear how the filmmakers intend to bring her back. It has only gotten fans more intrigued. The new Halloween movie has been in the works for a while with John Carpenter as executive producer. Joining Carpenter on the project are writers Danny McBride and David Gordon Green. McBride has emphasized that the new film is not a reboot of the series. He also added that the filmmakers would avoid “turning Michael Myers into some supernatural being that couldn’t be killed.” “I think it’s much more horrifying to be scared by someone standing in the shadows while you’re taking the trash out as opposed to someone who can’t be killed pursuing you,” he said. Even all these years later, Carpenter is passionate about his new project. “40 years after the original Halloween, I’m going to help to try to make the 10th sequel the scariest of them all,” he said. The move is set to be released October 19, 2018. Well if anyone can pull off the “scariest Halloween movie of them all,” John Carpenter can. Still intrigued on how they are going to resurrect Curtis’s role after being killed off but that seems to be the big Hollywood hook now and usually done with some kind of credible explanation. (well, sort of) I am sure this fresh version of ‘Halloween’ will do extremely well at the box office and Curtis will have fun making it. Young energy with lots of new projects being created. This is a perfect card for Curtis doing this movie. Cutting away the old crap and anything not needed. Since inverted, it supports approaching the new movie with a completely different story line and moving away from the creation of ‘Michael” being an invincible monster that is unable to be killed. New relationships being formed that support one another in friendship and/or love. Inverted, once again I believe the card represents moving towards a whole new storyline.